LONG BEACH, Calif.--(BUSINESS WIRE)-- UTi Worldwide Inc. (NAS: UTIW) , a global supply chain services and solutions company, announced Pat Cooney has recently joined the company as the new regional vice president for sales and marketing in the Asia-Pacific region. "Pat's sales management experience in the region and his broader freight forwarding experience and global contract logistics proficiency will greatly benefit our plans for revenue growth within the region," says Eric Kirchner, UTi Worldwide Chief Executive Officer. "I look forward to accelerating UTi's market leading position in the region. My immediate interest is in leveraging UTi's comprehensive supply chain solutions more extensively," Cooney says. "We have a great global network footprint and unique vertical industry expertise in automotive, pharmaceutical, retail and fashion that offer market leading services to these clients. We will leverage these strengths and expand our footprint further into the Asian market along with supporting our clients' growth ambitions in emerging markets such as Africa, South America, India and China," he says. Prior to joining UTi, Cooney was Vice President of Sales and Marketing for PACCESS LLC, a provider of packaging design and Asia focused supply chain solutions. His twenty years of global logistics experience included several management roles at CEVA Logistics (formerly EGL) including Vice President Sales and Marketing for APAC, Executive Vice President for Europe, Middle East and Africa and EVP Global Sales and Marketing. Cooney has a Bachelor of Science degree from Portland State University in Business Administration and Management with a focus in International Business Studies. He will be relocating to Singapore in the near future. UTi Worldwide Inc. (www.go2uti.com) is an international, non-asset-based supply chain services and solutions company providing air and ocean freight forwarding, contract logistics, customs brokerage, distribution, inbound logistics, truckload brokerage, and other supply chain management services. The company serves a large and diverse base of global and local companies, including clients operating in industries with unique supply chain requirements such as the retail, apparel, chemical, automotive, pharmaceutical, and technology industries. The company seeks to use its global network, proprietary information technology systems, and relationships with transportation providers, and expertise in outsourced logistics services to deliver competitive advantage to each of its clients' supply chains. 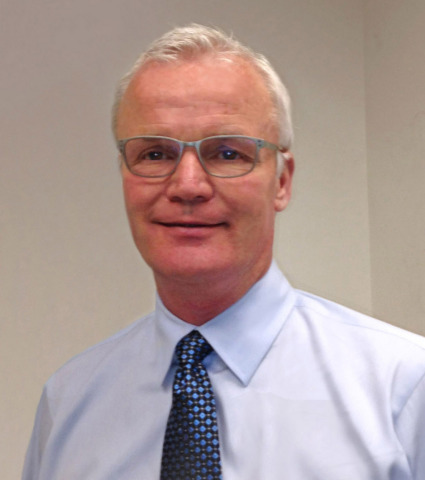 The article Pat Cooney Joins UTi Worldwide as APAC Regional Sales Vice President originally appeared on Fool.com.